Vibrant Velvet Voice has launched a new podcast aimed at the mature woman of color over 40. “Woman of Color – Tell Your Story” features conversations, personal stories and poetry by women of color working online and offline. Vibrant Velvet Voice has launched its first podcast oriented toward the mature 40+ woman of color, called “Woman of Color – Tell Your Story.” The podcast features conversation, personal stories, and poetry by women of color working online and offline. The new show is hosted by Skywalker of Vibrant Velvet Voice. The first episode tells the story of her deportation and how it contributed to her recognizing a need for a program that bridges the gap between what people think about women of color and what they experience. Listeners will be able to meet children’s book authors, resilience and life coaches, and online community creators. The program is available on Spreaker, iTunes, and Google Play. 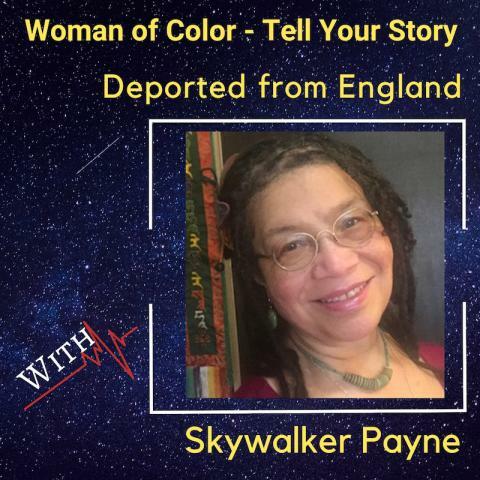 Skywalker Payne is an author and professional oral storyteller, and brings her unique skill set to the podcast. The new podcast showcases stories from many women of color on an ongoing basis, along with Skywalker’s continuing personal stories, she calls her audio book. The woman of color is a term used in the USA and other western countries to embrace women of African, African-American, Latinx, Middle-Eastern, Asian, Pacific Islands, or Indigenous heritage. The podcast details can be found on the URL above.